Check out this 2018 Chevrolet Cruze LT. Its Automatic transmission and Turbocharged Gas I4 1.4L/ engine will keep you going. This Chevrolet Cruze features the following options: WHEELS, 16 (40.6 CM) ALUMINUM (STD), TRANSMISSION, 6-SPEED AUTOMATIC (STD), TIRES, 205/55R16 ALL-SEASON, BLACKWALL (STD), SUMMIT WHITE, SEATS, HEATED DRIVER AND FRONT PASSENGER, SEATS, FRONT BUCKET WITH RECLINING SEATBACKS AND ADJUSTABLE HEAD RESTRAINTS (STD), SEAT ADJUSTER, DRIVER 8-WAY POWER, REMOTE VEHICLE STARTER SYSTEM, LT PREFERRED EQUIPMENT GROUP includes Standard Equipment, and LICENSE PLATE BRACKET, FRONT. Test drive this vehicle at Danis Auto Harbison, 6250 Harbison Ave, Philadelphia, PA 19149. Come see this 2017 Honda Fit EX. Its Variable transmission and Regular Unleaded I-4 1.5 L/91 engine will keep you going. This Honda Fit has the following options: Wheels: 16 Alloy, Wheels w/Machined Accents, VSA Electronic Stability Control (ESC), Urethane Gear Shift Knob, Trip computer, Transmission: Continuously Variable (CVT) -inc: sport mode and dual-mode paddle shifters, Torsion Beam Rear Suspension w/Coil Springs, Tires: P185/55R16 83H AS, Tailgate/Rear Door Lock Included w/Power Door Locks, and Strut Front Suspension w/Coil Springs. Test drive this vehicle at Danis Auto Harbison, 6250 Harbison Ave, Philadelphia, PA 19149. Look at this 2018 Hyundai Elantra GT . Its Automatic transmission and Regular Unleaded I-4 2.0 L/122 engine will keep you going. This Hyundai Elantra GT features the following options: SUMMIT GRAY, BLACK, PREMIUM CLOTH SEATING SURFACES, BLACK, LEATHER SEATING SURFACES, Window Grid And Roof Mount Antenna, Wheels: 17 x 7 Alloy, Variable Intermittent Wipers, Urethane Gear Shift Knob, Trip computer, Transmission: 6-Speed Automatic w/SHIFTRONIC -inc: active ECO system and drive mode select (normal, sport), and Torsion Beam Rear Suspension w/Coil Springs. Test drive this vehicle at Danis Auto Harbison, 6250 Harbison Ave, Philadelphia, PA 19149. Come see this 2018 Kia Soul PLUS. Its Automatic transmission and Regular Unleaded I-4 2.0 L/122 engine will keep you going. This Kia Soul features the following options: SHADOW BLACK, CARPETED FLOOR MAT, BLACK, CLOTH SEAT TRIM, Wheels: 17 Alloy, Variable Intermittent Wipers, Urethane Gear Shift Knob, Trip computer, Transmission: 6-Speed Automatic w/Sportmatic -inc: drive mode select (ECO, Normal, Sport),, Torsion Beam Rear Suspension w/Coil Springs, and Tires: P215/55R17. See it for yourself at Danis Auto Harbison, 6250 Harbison Ave, Philadelphia, PA 19149. Look at this 2017 Toyota Corolla iM HATCHBACK. Its Variable transmission and Regular Unleaded I-4 1.8 L/110 engine will keep you going. This Toyota Corolla iM comes equipped with these options: Wheels: 17 x 7 Alloy, Wheels w/Machined Accents, Variable Intermittent Wipers, Trip computer, Transmission: Continuously Variable (CVTi-S) -inc: sport sequential Shiftmatic mode, Tires: P225/45R17 All-Season, Tailgate/Rear Door Lock Included w/Power Door Locks, Strut Front Suspension w/Coil Springs, Steel Spare Wheel, and Single Stainless Steel Exhaust w/Chrome Tailpipe Finisher. 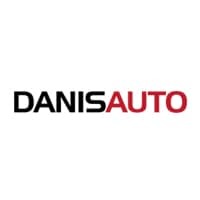 Stop by and visit us at Danis Auto Harbison, 6250 Harbison Ave, Philadelphia, PA 19149.